Martin Maiden’s interests are in the investigation of bacterial infectious diseases and the translation of research findings to public health interventions, especially the design and implementation of new vaccines and vaccination strategies. His current work comprises multi-disciplinary studies aimed at improving understanding of the epidemiology, population biology, and evolution of bacterial pathogens. The strategy employed, is to use molecular sequence determination of genes encoding both antigens and ‘housekeeping’ proteins for the characterisation of large, representative collections of bacterial isolates. These data can be used in a number of ways. They provide unambiguous typing data which enable hyper invasive lineages to be identified in any laboratory with access to sequencing technology. As both the samples and final data are portable (the latter electronically via the Internet) this approach provides a robust method for establishing the global epidemiology of bacterial pathogens in general. However, these data have many more applications and can be used in combination with phylogenetic, theoretical, immunological, and biochemical approaches to develop an improved understanding of the ways in which bacterial pathogens evolve and spread. A great advantage of the nucleotide sequence-based approach is that it is readily extended to all bacterial pathogens, particularly with the increasing availability of complete bacterial genome sequences. In addition to establishing the basic population structure and epidemiology of a range of pathogens, such studies provide comparative data enabling the establishment of the basic principles of the population biology, evolution, and epidemiology of bacterial pathogens in general. 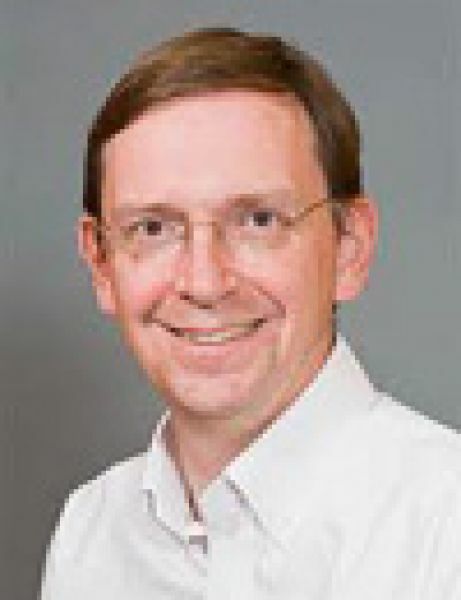 Currently a multi-disciplinary collaborative project, developing a novel meningococcal vaccine is being developed with Dr Andrew Pollard (Paediatrics, University of Oxford), Professor Ian Feavers (National Institute for Biological Standards and Control), and Dr Jeremy Derrick (University of Manchester). Maiden, M. C. & MacLennan, J. M. (2014). Fifteen years of protection by meningococcal C conjugate vaccines: lessons from disease surveillance. Clin Infect Dis. Daugla, D. M., Gami, J. P., Gamougam, K., Naibei, N., Mbainadji, L., Narbe, M., Toralta, J., Kodbesse, B., Ngadoua, C., Coldiron, M. E., Fermon, F., Page, A. L., Djingarey, M. H., Hugonnet, S., Harrison, O. B., Rebbetts, L. S., Tekletsion, Y., Watkins, E. R., Hill, D., Caugant, D. A., Chandramohan, D., Hassan-King, M., Manigart, O., Nascimento, M., Woukeu, A., Trotter, C., Stuart, J. M., Maiden, M. C. & Greenwood, B. M. (2014). Effect of a serogroup A meningococcal conjugate vaccine (PsA-TT) on serogroup A meningococcal meningitis and carriage in Chad: a community study [corrected]. Lancet 383, 40-47. Maiden, M. C. (2013). The impact of protein-conjugate polysaccharide vaccines: an endgame for meningitis? Philos Trans R Soc Lond B Biol Sci 368, 20120147. Maiden, M. C. (2013). The endgame for serogroup a meningococcal disease in Africa? Clin Infect Dis 56, 364-366. Harrison, O. B., Claus, H., Jiang, Y., Bennett, J. S., Bratcher, H. B., Jolley, K. A., Corton, C., Care, R., Poolman, J. T., Zollinger, W. D., Frasch, C. E., Stephens, D. S., Feavers, I., Frosch, M., Parkhill, J., Vogel, U., Quail, M. A., Bentley, S. D. & Maiden, M. C. (2013). Description and Nomenclature of Neisseria meningitidis Capsule Locus. Emerg Infect Dis 19, 566-573.